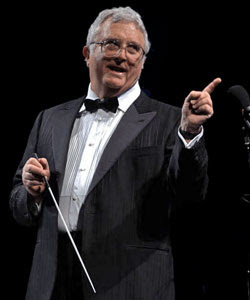 When you think about it (if you think about it), Randy Newman must have it rough. Not an awful lot of people appreciate satire; even fewer appreciate it in modern popular music. Yet in literature, writers from Jonathan Swift and Mark Twain to Kurt Vonnegut and Thomas Pynchon have employed satire in their works to enlightening, often humorous effect. The same applies to the visual realm, wherein a film like Dogma or a television show like The Colbert Report utilizes the method to underscore (and ridicule) society’s ills, quirks, and absurdities. Music doesn’t allow for much ironic inflection or witty nuance of a lyric, though, especially when the songs aren’t transparently and deliberately comedic. People who discern only the literal words rather than ascertaining their inference—especially people who empathize with the source of scrutiny—invariably take exception. So Newman singing “Short People” is still bound to offend a few midgets; a cluster of second cousins in Alabama will inevitably take “Rednecks” the wrong way; and gullible constituents will perceive “Political Science” as a foreign policy endorsement to annihilate every nation but America (and Australia). 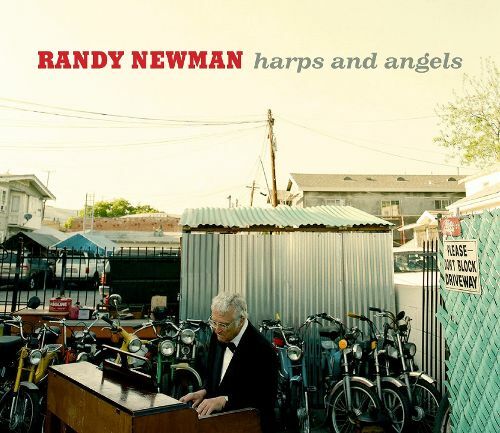 Righteousness be damned as well on Harps and Angels, which finds Newman waxing sardonic (and, at times, solemn) in songs about mortality, impropriety, and the aches and pains of love. In his curmudgeonly inimitable way, he sings, mutters, stutters and hollers, sounding like a late-night lounge act one moment and a Dixieland bandleader the next. Ever the astute social commentator, Newman offers solutions for America’s inferior education system (“Korean Parents”) and immigration reform (“Laugh And Be Happy”) as well as a rationalization for government ineptitude (“A Few Words In Defense Of Our Country”). “Now the leaders we have/While they’re the worst ones we’ve had,” he remarks in the latter, “Are hardly the worst/This poor world has seen.” Point taken. His astuteness also extends to matters closer to home as he ponders such obscurities as the afterlife on the title track (“You never know”) and his unconditional love of women on “Potholes” (“Apparently I don’t care how I’m treated”). And with a heavy heart on his sleeve, he sings “Losing You” and “Feels Like Home”—the latter a studio version, not the live cut from The Best of Randy Newman—as unflinchingly heartfelt as any love song in his canon. In fact, it’s during songs like these that skeptics could question his motives on the other ones. If you can’t distinguish between sincerity and satire, though, chances are you won’t comprehend much on Harps and Angels either. Those who can, however, will appreciate this album as—to cop a Newman song title—“something special” indeed.